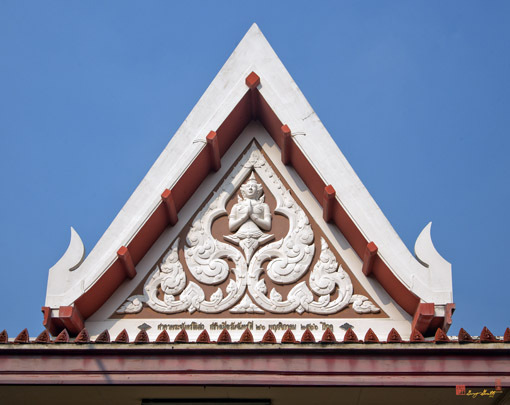 Wat Sunthon Thammathan, วัดสุนทรธรรมทาน, a civil temple, was once called Wat Khae, presumably meaning "nearby temple", in accord with the dialect of the southern people who lived in the vicinity. 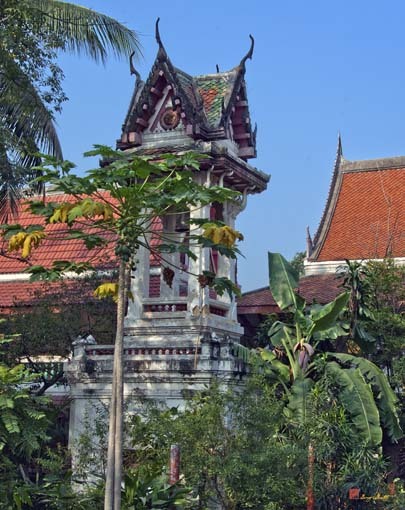 Another name for the temple was Wat Sanam Krabue due to its location in Sanam Krabue sub-district. 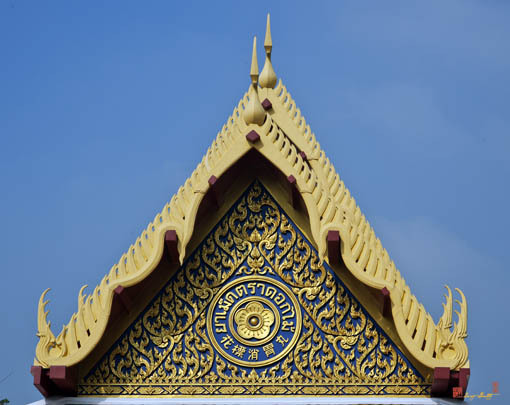 King Rama III allocated this area for settlement of Thai and Muslim people who had migrated from the south. There is a legend that Phraya Cha Saenyakon found a Buddha image submerged at Bang Kholaem sub-district. 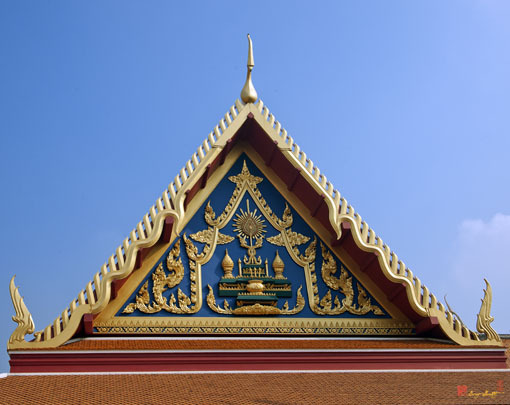 He thereupon dedicated his house, which was later converted to a temple, to enshrine the statue. 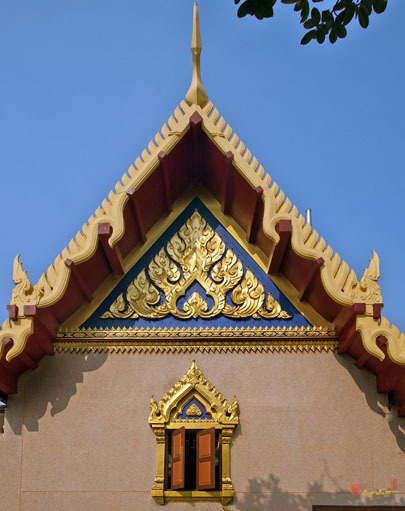 Phraya Sombat Yaphiban also donated a house with land as an addition to the temple. 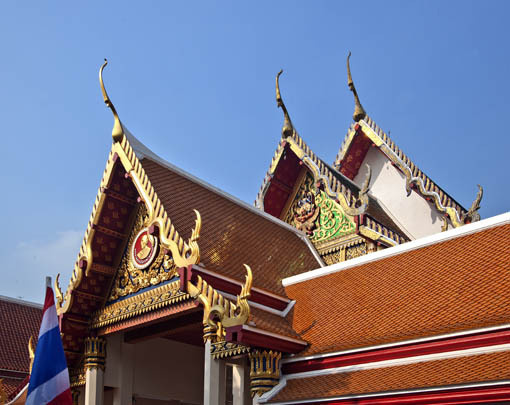 In the reign of King Rama IV, Phrachao Borommawongthoe Krommamuen Sunthon Thipbodi, the son of King Rama III and Phra Thamma Thanachan, the abbot of Wat Saket Woramahawihan, jointly renovated the temple. 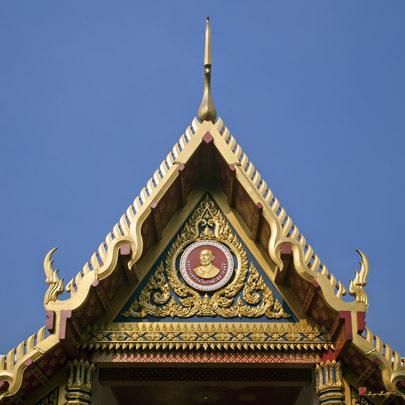 The temple was then renamed to the current Wat Sunthon Thammathan, the combination of the two donors' names. 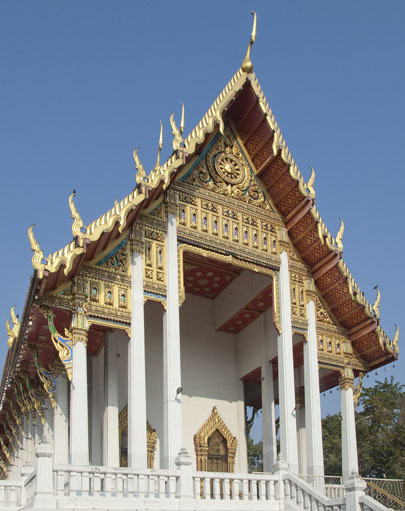 The temple has an Ubosot (Ordination Hall) of Thai architectural style with surrounding walls, three-tiered roof and carved, gilded and lacquered windows and doors.